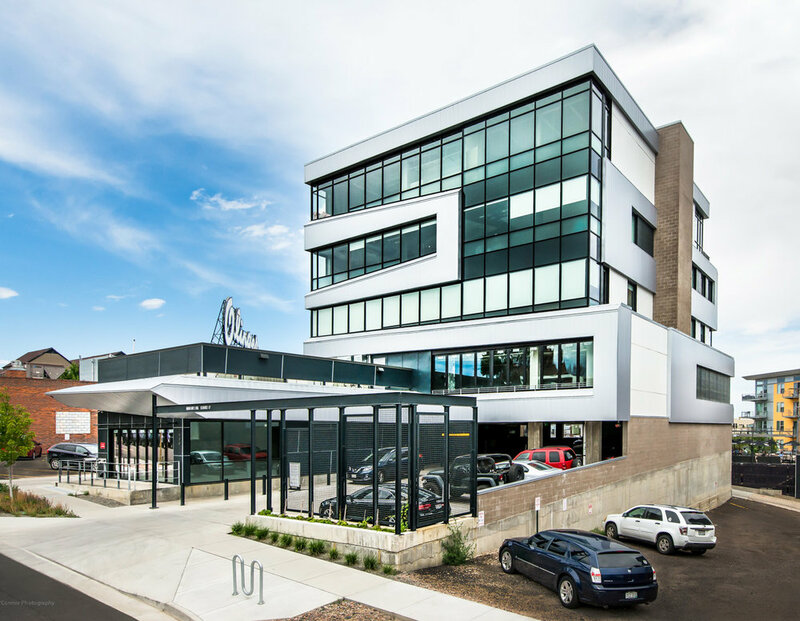 Grav 29 is a mixed-use, commercial building in the heart of the LOHI district. This urban infill project breaks with current building typologies. Studio Completiva strived to respond to the growing demand for, and value placed on, vibrant urban experiences. We added density and a concentrated diversity of uses on minuscule, 3 city-lots. 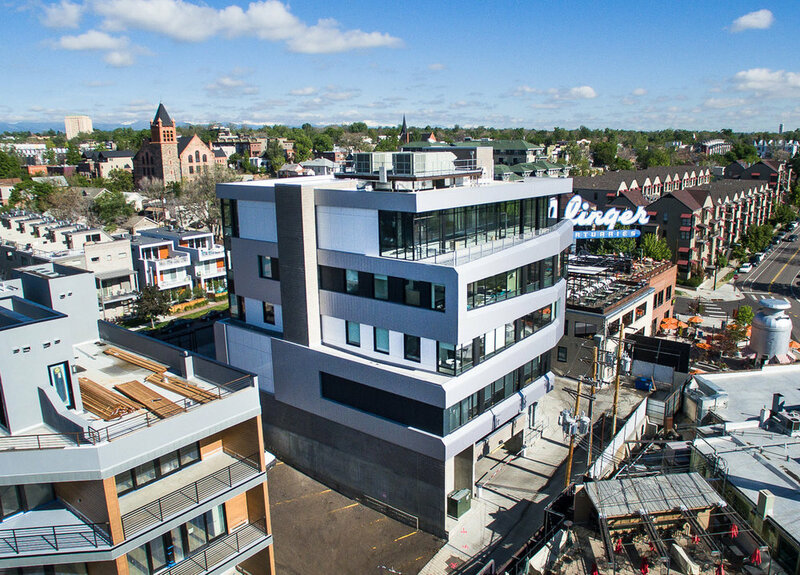 The ambitious mixed program of 23,000 SF of restaurant and office space aimed to tap into the energy of the surrounding neighborhood. 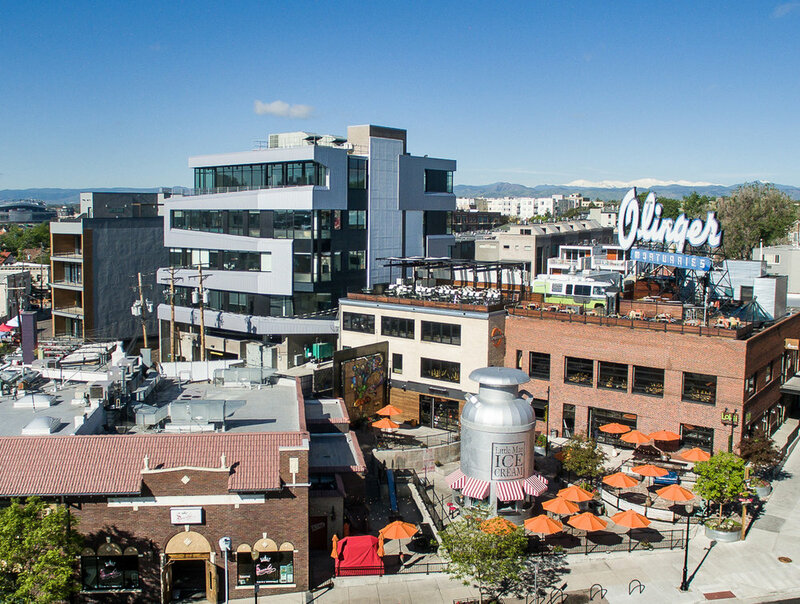 In addition, we expand it around the corner of the block by engaging both Umatilla Street and the hub of activity found in existing restaurants at the back of the site. The tight infill site demanded more than a typical commercial tower block at the street with parking behind. 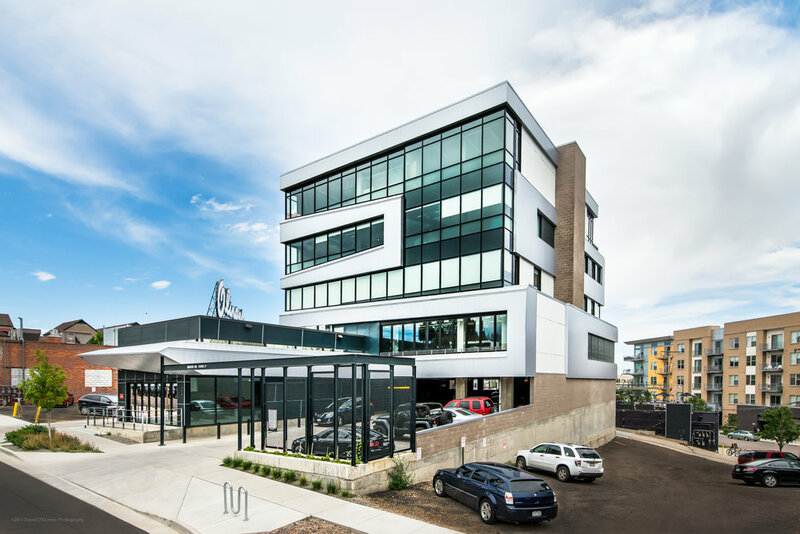 Flipping the standard typology, the main four-story mass of the building was placed atop a parking podium and pushed to the rear of the site to play down the mass of the building. The front of the building addresses the smaller scale of Umatilla Street with a one story restaurant space that engages the streetscape with a patio. The overall effect is a striking building which effectively complements neighbors old and new.